New legislation seeks commemorative coins in gold and silver to celebrate the 100th anniversary of the beginning of Korean immigration into the United States. These coins would be produced by the United States Mint in proof and uncirculated qualities, have extremely limited mintages and get issued in calendar year 2018. The bill, numbered H.R.3729 and entitled the Korean Immigration Commemorative Coin Act, was introduced on Dec, 12, 2013 by Rep. Robert E. Andrews of New Jersey. According to the legislation, in December of 1902, 56 men, 21 women, and 25 children sailed aboard the S.S. Gaelic and landed in Honolulu, Hawaii, on Jan. 13, 1903. Since that first voyage, about 1,000,000 Koreans have immigrated to the United States. If H.R.3729 becomes law, no more than 20,000 $5 gold coins and just 10,000 silver dollars could be issued. This would mark a major decline from maximum mintages allotted to other commemorative coins. For example, the authorizing law for the 2013 5-Star Generals Commemorative Coin Program calls for mintages of up to 100,000 gold coins and up to 500,000 silver dollars. Designs of the strikes would be "emblematic of the immigration of Koreans into the United States and the significant contributions of Korean Americans to this Nation," according to H.R.3729. 2018 $5 Korean Immigration Gold Commemorative Coins would be composed of 90% gold and 10% silver to a weight of 8.359 grams and a diameter of 0.850 inches. 2018 $1 Korean Immigration Silver Dollars would feature a composition of 90% silver and 10% copper with a weight of 26.73 grams and a diameter of 1.500 inches. Under the terms of H.R.3729, surcharges in the amount of $35 per gold coin and $10 per silver dollar would be included. Proceeds would go to the Council on 100th Year Korean Immigration Commemorative Coin Act to provide academic scholarships. This is not the first time Rep. Andrews has introduced a Korean Immigrations Commemorative Coin Act. Similar bills were put forth by Andrews in the 107th, 108th, 109th and 102th sessions of Congress. 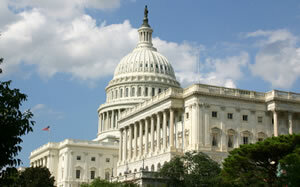 H.R.3729 was referred to the House Committee on Financial Services. For it to become law, it must pass both the House and the Senate and get signed by the President of the United States. And issue a set of Red Neck, Bible Thumping, Conferderate Flag Flying, White Trash Coins. It would have to be a large group picture next to a cave. Wow – is the commemerative coin program slipping into the same mold as the 1930’s coin program? Whats next – honoring a 100 years since the introduction of Raisin Bran? Totally agree, If the coins ended up with the value of the 30’s commemorative’s, it would be a treat, but unfortunately they will just trade lock step with the price of an ounce of silver. Not worthless, but they seem to be getting more and more “desperate”. What about the Irish, German, Greek, Italian, Vietnamies, mexican, russian, polish, etc. etc., DUMB Idea!